Little chef Jess here again! I had to share this incredible recipe with you. Jason and I are not fans of anything pumpkin. Pumpkin pie is absolutely disgusting to me. I once made a pumpkin pasta dish; I literally have no idea what I was thinking. We threw the entire thing away. So imagine my sweet surprise when I was at a Bible study luncheon, tried this dip and absolutely fell in love. It is so simple to make, but the real kicker is the kind of chip to serve it with! Mix the pumpkin, pudding and pumpkin pie spice together in a bowl. Easy peasy, right? With the dip, you'll want some sort of dipper. 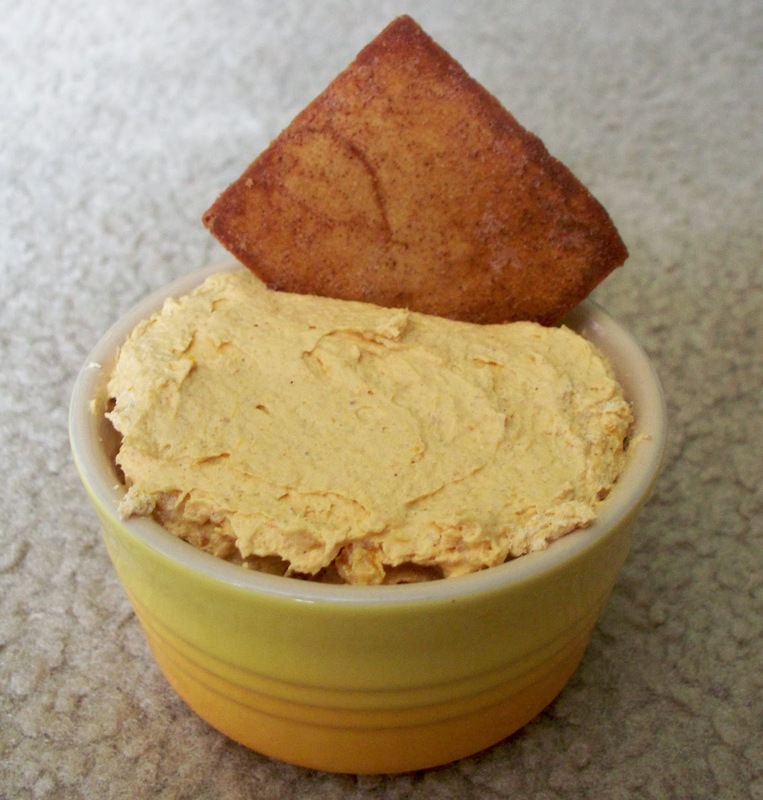 The best dipper is Stacy's Simply Gingerbread Pita Chips. These are only available during the fall/winter season (think early November through Christmas). You'll need about 3 bags for 1 batch of dip. I made this dip right before Christmas 2013 and had enough for two parties. Don't have pumpkin pie spice? Please, please, please don't buy it! You can make it with ingredients you likely already have on hand. Mix together 2 Tbsp. plus 2 tsp. ground cinnamon, 2 tsp. ground ginger, 2 tsp. ground nutmeg and 1 tsp. ground cloves. There you have it - pumpkin pie spice!